This is a "one of kind" plaque and everything on it is at least 100 years old if not older. The T.S. & J.D. 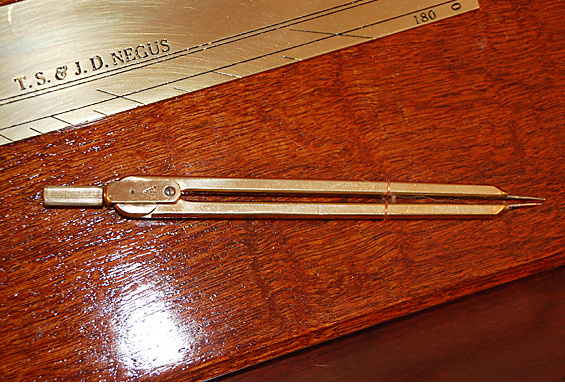 Negus Co. (established in 1864 in New York) parallel rule is solid brass. The scrimshaw is done on elephant tusk and has fine detail. The vintage dividers are brass and steel. The plaque was made from solid Honduras mahogany and finished with three coats of hand-rubbed spar varnish. 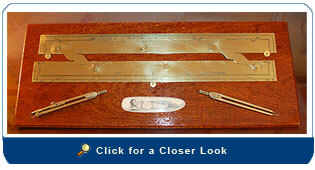 Size: The plaque measures 21” long and 8 ¼” high.